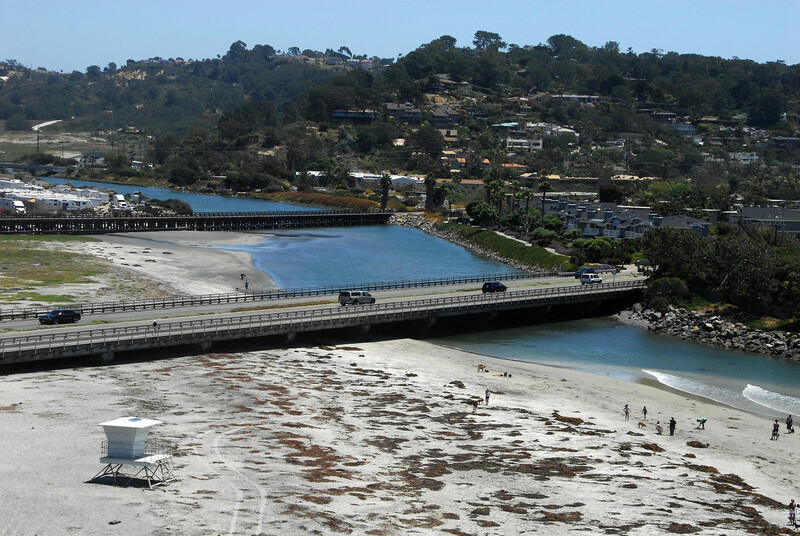 The San Dieguito River Park conducted a Feasibility Study that examined possible trail routes to extend the Coast to Crest Trail in Del Mar to the beach. This trail segment would help us achieve our goal of completing the estimated 70 mile long Coast to Crest Trail from the headwaters at Volcan Mountain to the beach. Many challenges are associated with building the extension, including developed land uses, in particular the Fairgrounds, transportation systems (Jimmy Durante Blvd, the railroad tracks, and Hwy. 101), and natural resources (the river and restored wetlands) that occur within close proximity to each other. Based on site visits, information about the project area, and input from trail user groups and the community, we identified a trail route on both the north and south sides of the San Dieguito River. Both are recommended to be constructed. The trail route on the south would be primarily for pedestrian use. It would utilize the existing Riverpath Del Mar, which currently terminates east of the railroad track. It is envisioned it will be extended under the railroad track when the railroad bridge is replaced. The trail route on the north would be a multi-use trail for pedestrians, bicyclists, and if approved, equestrians. It would extend along the southern and western perimeter of the Fairgrounds, crossing under the railroad tracks at a point yet to be determined, then curving northward around the edge of the wetlands before reaching Hwy. 101. Crossing 101 would require a user-activated signal light. Next steps include preparation of environmental analysis (CEQA), working with SANDAG on the design of the railroad bridge replacement and planned seasonal rail platform, and identification of construction funding.